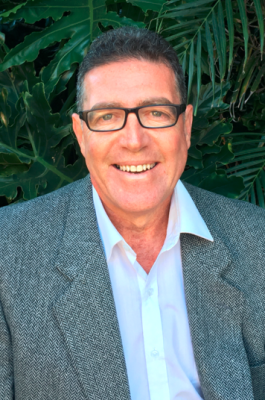 Gil Avenaim is an ACREDITTED FAMILY DISPUTE PRACTITIONER, MEDIATOR, LIFE COACH and TRAINER who has spent many years navigating the Family Law system in an effort to understand the best ways to achieve a mutually suitable outcome for those parties involved. Having been exposed himself to the 'system' whilst trying to obtain a suitable outcome on parenting, Gil quickly realized that the right Mediation or Family Dispute Resolution (FDR) would achieve a faster and richer outcome. Not only would he save a small fortune in legal fees by using a Mediator, allowing that money to be better spent contributing to his child's future needs, but he would also achieve a much faster outcome, and be able to spend more time with his child sooner. 1) The Mediators or Practioners who were recommended to Gil initially, and whom he used for a handful of sessions, did not address the core issues effectively, and seemed totally satisfied with a 'few minor wins'. When the pressure was on to address the big issues and both parties started to 'dig in' refusing to concede, these Mediators defaulted to 'well there's not much else we can do here!". This did not help, it was wasted money, and it slowed down the whole process. A better understanding of the legal process, the time it would take to achieve an outcome, and the costs involved in taking this to a final hearing could have been explained at that point, and a stronger approach could have been adopted in trying to get both parties to explore other options. 2) The result of failed Mediation meant a protracted legal battle, a lot of stress and angst, no immediate resolutions or outcomes, and more legal costs. Unfortunately 'egos' and a 'need to win' do come into play when parties are going down this road. Many times parties cannot see the forest from the trees, and feel that Lawyers, Barristers and Judges are the only ones who can solve their problems. The reality is that the Court system today is totally 'choked' as a result of Judges retiring, far too many matters on the list, and long lead times. For those recently separated or divorced choosing to take their matter to Court, expected case durations are now between 2 to 3 years. 3) The Courts, Lawyers, Barristers, Independent Expert Witnesses, Psychologists, Therapists, Children's Lawyers, Counselors and others do err on the side of conservatism and caution in respect of what should be done with the children...and rightly so.... therefore the process in achieving an outcome is painfully slow, frustrating and expensive....especially if one party decides to stall or not cooperate, preferring to let the system run its natural course. e) You use a Mediator or Practioner who will help you keep the costs down and will only recommend third party involvement when it is absolutely necessary.